When I was a college student traveling on our choir tour bus, we were given turkey sandwiches, chips, and an apple in a sack every day for lunch 11 days in a row. I was grateful for the sustenance, but I haven’t looked at a turkey sandwich the same way since. Even the cafeteria food looked good after that. 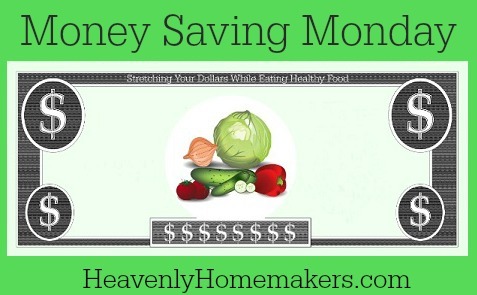 So here are some non-sandwich ideas for food you can take on the road to save you money while you eat healthy. See? See how much better that sounded after my introductory paragraph about turkey sandwich burn-out? My family thought I was a little crazy when I told them I was taking potato soup to eat on the road on our way to the tournament this weekend. What can I say? Potato Soup sounded really good to me. I made a full pot of soup, then filled jars and packed spoons. 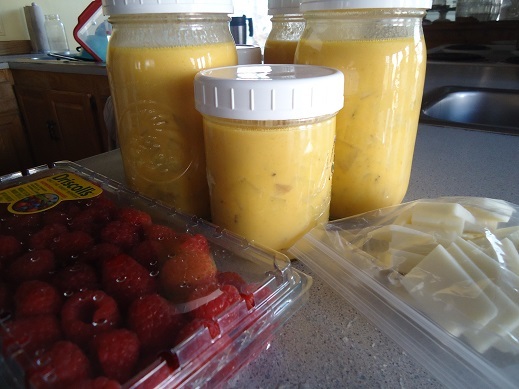 Soup with cheese and raspberries was surprisingly easy to eat on the road and everyone loved it! Somehow my sliced cheese made it into this tapioca picture and the soup picture above. It’s like I wanted to really brag about how well I cut the cheese. 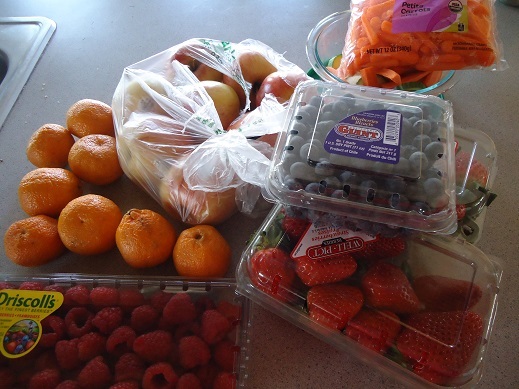 Fruits and veggies are super easy to pack and eat on the road. From berries to apples to oranges to carrots to sliced cucumbers to mini sweet peppers. If you do nothing else, PACK FRUITS AND VEGETABLES. This is the only thing that keeps our stomachs happy while traveling. Do this. Eating out while on the road is fun too, and our family likes to splurge on occasion! But I always love to figure out more road trip food ideas. So share yours! What do you pack to eat on the road? Since our family deals with a very strict diet for one family member, restaurants are often a nightmare. I have been known to bring my crock-pot along on road trips. It isn’t difficult to throw ingredients in before we leave in the morning, and come back in the evening to a waiting meal. Sometimes I put a breakfast casserole (again, with health-friendly ingredients) in so we can wake up to a ready to serve breakfast. Just add fresh fruit. 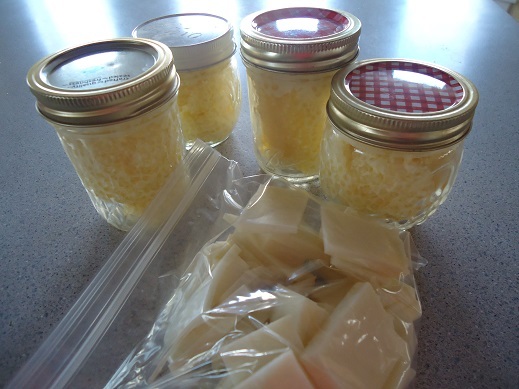 It is a bit of work ahead of time to get the ingredients ready to go in ziploc bags, but it is definitely worth it! Oh! And we save a ton of money to boot! I love the pudding in a jar idea! So basic but I’ve never thought of before. What a perfect little meal for my youngsters on the road. Thanks for sharing! I also bring my crockpot and actually plug it into a converter in the car so dinner is ready when we arrive. I also love to make breakfast cookies, muffins, taco salad in jars, and pizza pockets or cold slices of pizza. Cold lasagna is also a rare treat. I love the soup in a jar idea, but how do you keep it warm or re-heat it? I guess I could look for an old insulated soup thermos for each family member, but I like your use of canning jars for this. I wonder if I could just drop the hot packed jars in a hard sided cooler and keep them hot? We bought a power converter to use our mini crock in the car too, but have been concerned about leaving it running when the car is off. Most road trips are short (1-2 hrs) in the car with lots of time spent walking about. It seems like a good idea while we are driving though. Anyone use theirs while parked? How do you manage to keep things warm on the road? We will be taking a long road trip n May and have never considered making my own food to travel with. 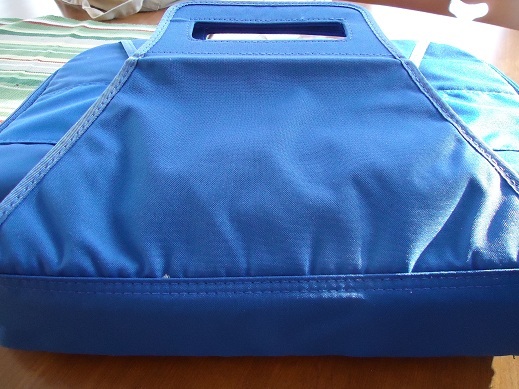 The casserole carrier pictured above keeps food warm for a few hours. Otherwise, we plan to eat warmer food earlier in the day, saving cold food like sandwiches for meals later in the day if we’re going to be on the road for a long time. Funny, we just came home from an off-roading/camping trip where we traveled most of the day in our vehicles (we were in a fairly large group) and set up camp around 3 or 4pm. Each night we camp in a different location, so I don’t care to make food complicated because setting up tents and camp are enough work with kiddos running around after driving most the day. Pinterest helped give me ideas for snacks. I looked up paleo snacks and got the idea for bagging up the cooked, cut chicken along with chopped scallions, celery and some grapes. I added avocado to it while out there so it didn’t brown. Perfect lunch! The only thing we wish we’d done was hard boil some eggs. We did packaged oatmeal for breakfasts as we’re not “paleo,” just like the real food ideas. We’ve done salads in jars as well–dressing on the bottom, then lettuce and other things you want, top with the meat. When it’s time to eat, shake the jar up. These are great when it’s warmer as you can sit out side and eat. My kids are incredibly slow eaters. So we often plan to leas the house before lunch, just so we can save time by eating lunch in the car. We usually do sandwiches if we are eating in our van. Lunchmeat (Applegate) is a rare splurge for us, so turkey, spinach and herby spreadable cheese (Boursin) on good bread is a big treat. I like packing my kids lunch in individual divided lunch containers (ziplock). Everyone gets veggies and fruit to go with. Pasta salad is great for when we are eating outside our van. For the ride home (often days later) I usually bring some Triscuits or whole wheat bagels and PB, cheese sticks, veggies and fruit. Not exciting, but healthy, cheap and beats stopping at Culvers. For breakfast I bring milk, homemade granola bars or muffins and fruit. And, I always bring dish soap to do dishes in the hotel room. When we travel I like to pack a lot of freggies too. But one area not mentioned is the drinks. My hubby likes to drink a soda with his sandwich in the car, so about the only time I buy sodas is for when we travel. I buy the 8 oz plastic bottle for two reasons–one, it has a lid so if one doesn’t drink the whole drink at one time we don’t have open cans floating around the car; and two, I save those bottles. When we get home I put them through the dishwasher and then fill with filtered water and freeze. Now I have ice packs for the cooler and water to drink along the way thus not needing to buy drinks while travelling. I know this gets into the plastic bottle debate, but I figure the dual purposed ice packs (keeps food cold while saving space from using actual ice packs) plus I know my water source before I leave home helps. Also, if we lose one of those bottles along the way it doesn’t matter as much as it would if it was one of our good water/ drink containers. Laura, thank you for all the good tips and recipes you give. I have made several of the breakfast muffins and those always travel well too. We will be doing some camping later this summer with a group and I plan to have at least our breakfasts taken care of before we go. One of our favorite travel breakfasts is English muffin sandwiches. Split and toast the muffins and slather with butter. Fry a few eggs ahead of time and put ham (or bacon), cheese, and the fried egg on the muffin. You could add spinach also! ;) Wrap in foil and eat cold or sometimes we reheat them while we are packing the last few items. They are good either way. We also make a cold frappaccino in the blender and split it between disposable coffee cups for a breakfast treat. We pack a lot of our food also, and I couldn’t handle making dinner every night on vacation without our crock pot. We like to prepare the dinner ingredients ahead of time, so that on vacation, we just open the prepared ingredients, add the meat, set the crock pot, and return to a wonderful home cooked meal. I love that my toddler is old enough to eat in the car now without making a huge mess! For our 10 hr trip today he and I ate cheese slices, cucumbers slices (which he calls comebuggars, which is really funny) sweet peppers, celery, along with dry cereal, corn chips, cranberries and cashews…. We were starving by the end of the trip, but I knew dinner was waiting! I really like muffins for breakfast and snacks, and if I need to pack dinner to go, homemade pizza pockets or ham and cheese pockets are easy to hold and not as messy as regular slices :) Another idea is to bring thick chili in a thermos, crumble tortilla chips in baggies and spoon in chili, shredded cheese, and any other toppings you enjoy. Like old school frito pies but without the weird chemicals :) Also, we have found that homemade apple chips make great non-messy road trip snacks!